The Green Sanctuary: How beneficial is The Custard Apple ? 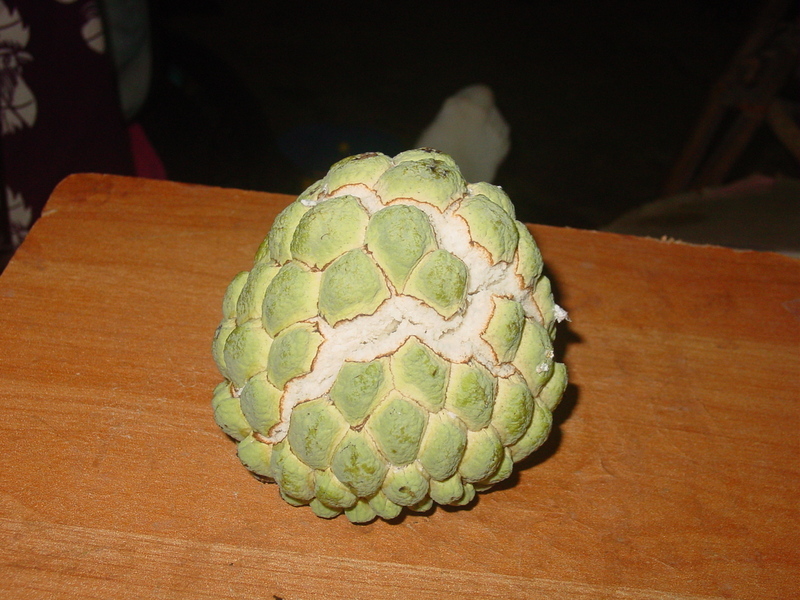 How beneficial is The Custard Apple ? This unique looking fruit has become quite a common sight in most gardens today. Undoubtedly, they grew well in tropical country because it needs plenty of sunshine and sufficient water to sustain growth. The flesh is always sweet in taste but sometimes, it could be slight sourish too. Of course, the possible reason could be due to the infertile soil that they grew upon. 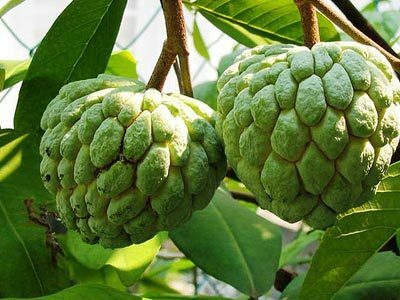 The fruit gets its name as Custard Apple because of its shape which appears like a heart, or otherwise similar to the shape of an apple. It appears to have a rough skin but its thin. If the fruit is over-ripened, the whole fruit may break apart due to the weight of its flesh. I remember a few healthy plants that were grown in our backyard during my school days. It bears fruits continuously throughout the year and our greatest enemy was the naughty birds that will fight with us for the sweet fruit. 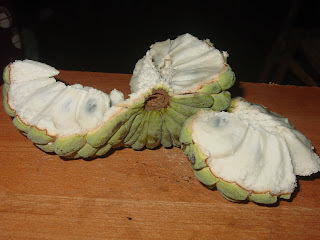 They have a better sense of smell and every time before we can pluck them, we are bound to see holes appearing on the side of the fruits because they are been eaten by those notorious birds first. helps in neutralizing free radicals. the hair, eyes and skin. protecting the heart against diseases. it also contains Potassium, Copper and Vitamin B6. it contains low fat levels and good for maintaining optimum health. used for treating diarrhea and dysentery. haematinic and is even useful in treating anemia.